The Simultania Project: One Worldwide Minute Of Life : The Picture Show Last Saturday, artist Erin Cooney orchestrated a worldwide, one-minute documentary. She is compiling the videos for an installation called "The Simultania Project." Artist Erin Cooney set out to capture a video snapshot of the world. During a designated one-minute period last Saturday, hundreds of people around the globe shot a scene of whatever was occurring around them. 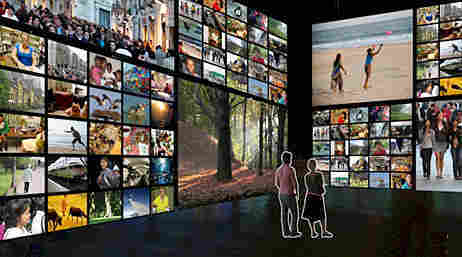 Video submissions have been streaming in her direction, and the synchronized results will be displayed as an art installation, which Cooney expects to have ready by next spring. She tells NPR host Robert Siegel that the result of the Simultania Project, as it's called, was just as she had hoped: No real surprises -- just a self-portrait of humanity. Starting this evening, Cooney will be offering a sample of video submissions on her website.